Since the first release of Android, users could silence their phone with the volume rocker or in the power menu, accessible by holding down the power button. But with the latest release, Google chose to omit the ability to “silence” your phone. It was a surefire way to make sure a surprise phone call or notification wouldn’t disrupt others around you, but Google believes there’s a better way to handle interruptions, and it involves classifying them. The end result isn’t straightforward, but it’s powerful. 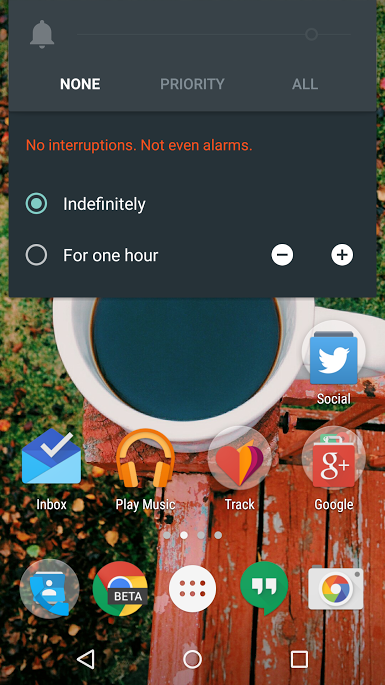 Skip trial and error and read on to learn about Lollipop’s new notification scheme and how to get the most from it. The settings for priority notifications can be accessed through the volume dialog which appears when you change the volume on your device. Press your volume rocker, select “Priority” then select the gear icon. This will navigate you to the “Interruptions” section of the settings app. There, you’ll be presented with the ability to define what a priority notification is to you, and when notifications of this type are allowed to disrupt you. 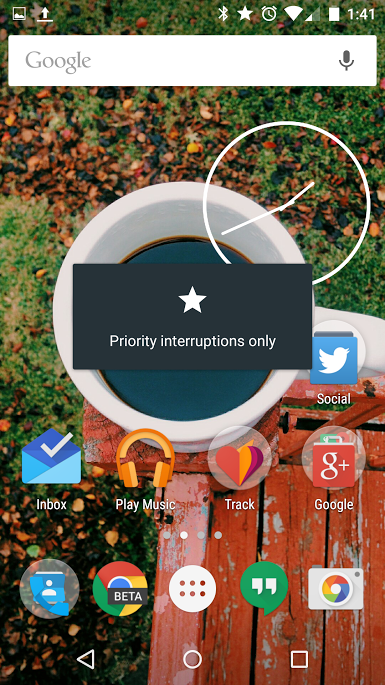 There are three types of interruptions under “Priority interruptions” which can be toggled on and off: Events and reminders, Calls, and Messages. Under these toggles is an option to specify who is allowed to interrupt you. You can chose to only be interrupted by people in your contacts or starred contacts if you’d like. This is a nice feature to have when you don’t want to be disrupted by people who aren’t important to you. You’ll still get a notification from an unimportant call, but your phone won’t ring, vibrate, etc. Another great feature of priority interruptions is the ability to set when you want to have “Downtime”. Under “Downtime” you’ll find the option to automatically turn on priority notifications depending on the day and time. This option is perfect for students like me. I can set my downtime to the days and times when I have classes so I won’t risk an embarrassing disruption in the middle of a lecture. If you want to leave priority notifications on for a least specific amount of time, you can change priority mode’s interval from “indefinitely” to one hour or more in the volume dialog that you see when you change the volume on your phone. 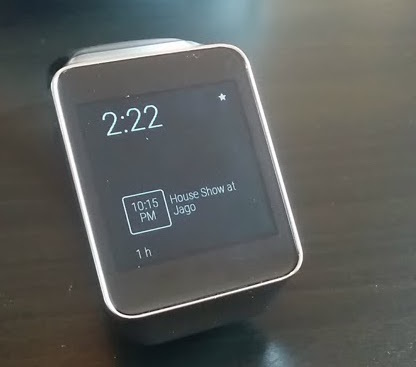 If you’re using a version of Android before Lollipop and/or Android Wear earlier than the recently-released 5.0.1, you’ll still receive all notifications on your wrist. Google initially chose to disassociate Wear from the interruption settings because Wear doesn’t have the ability to disrupt others in most circumstances. As a side note, Google also gave us the ability to use a feature called “None,” which is effectively the silent mode of Android Lollipop. 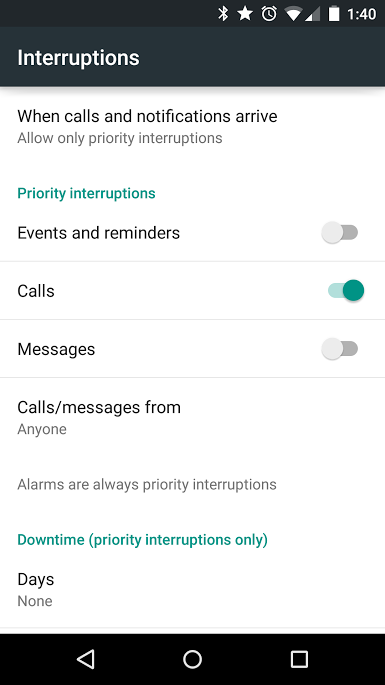 If you think setting up priority notifications is more work than it’s worth, you still have the option to completely silence your phone if you’d like. Just select “None” from the volume dialog—it acts almost exactly like the silence option of old. There’s one exception though: under “None,” even alarms that you’ve explicitly set up to go off at a certain time will not do so. This wasn’t the case under the previous “Silent” mode. Google’s decision to reclassify your notifications can be useful to a lot of people, but is it obvious and straightforward to those who aren’t technologically inclined? Probably not considering I felt the need to write this guide. Google has had a bad track record with making the intricacies of technology easy to use for everyone, but that’s not to say it’s getting better. I think this is a step in the right direction, but needs a bit of work. The language used isn’t clear and contributes to a bad user experience; however, that’s not a difficult thing to fix.